Welcome to Grade A Cleaning! Grade A Cleaning Services, LLC is a team of military wives providing full-service cleaning solutions for residential and commercial properties throughout the Dover area. You already have too much on your plate with your job, running errands, driving the kids to activities. When are you supposed to find time to clean? 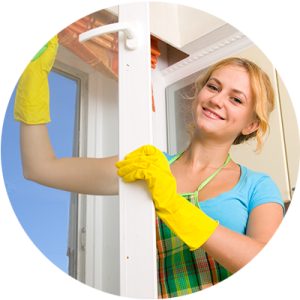 Through our passion for cleaning, Grade A Cleaning Services, LLC positively impacts the lives of others – allowing individuals and families to better focus their time on accomplishing the tasks ahead of them, schedule more time enjoying their hobbies, and dedicating more quality time with their friends and loved ones. No one ever said, "I wish my home weren't this clean." Let Grade A Cleaning eliminate the stress, so you can maximize the enjoyment of family time in your home. Join the dozens of other Dover businesses that turn to Grade A Cleaning to increase the efficiency and productivity of their staffs through a clean workplace. Are you a military family looking to pass final inspection or an individual looking to regain your security deposit? We perform all cleanings to pass military specs. WE DON'T CUT CORNERS...WE CLEAN THEM! Refer Grade A Cleaning Services, LLC to a friend, colleague, neighbor… heck, anyone. For your referral, we’ll give you $5 off your next cleaning. We love word-of-mouth advertising, so there’s no cap on this. If you refer 20 new customers to us, you’ll receive $100 off your cleaning(s). When you schedule a cleaning on consecutive weeks, you’ll receive $10 off the second cleaning. We’ve also put no rolling cap on this incentive, so after our initial visit, you’ll continually receive a $10 discount on each cleaning until there is a week where no appointment is schedule. All senior citizens scheduling a cleaning with Grade A Cleaning Services, LLC are eligible for a 10% discount, regardless of frequency or type of cleaning. Grade A Cleaning is a proud partner of the Cleaning For A Reason organization that serves the United States and Canada. Their mission is to give the gift of free house cleaning for women undergoing treatment for any type of cancer. Their goal is to let these brave and strong women focus on their health and treatment while Cleaning For A Reason focus' on, and takes away the worry and work of, cleaning their homes– free of charge. They have recruited over 1,200 maid services to donate free housecleaning to women who are undergoing treatment for cancer, and we are now proud to be part of such a great cause! We offer a satisfaction guarantee – While this has never happened, if for any reason you aren’t completely satisfied with your cleaning experience, we’ll return the next day to finish the job.